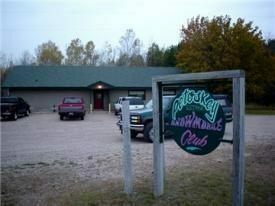 Your membership in the Petoskey Snowmobile Club is highly encouraged. It's a great way to stay involved in keeping our trail system alive and well. We also welcome your presence and participation in our social activities such as group rides, trailside beanpots, and fundraisers. Membership is only $15 per year for an individual or $30 per year for a whole family. Application is easy. Simply click the link below, print it, fill it out and mail it in with your dues payment. We will automatically put you on our mailing list. You are always welcome to attend our membership meeting on the second Tuesday of each month. If you have any questions, please email us at the link below. We'll be happy to talk to you.